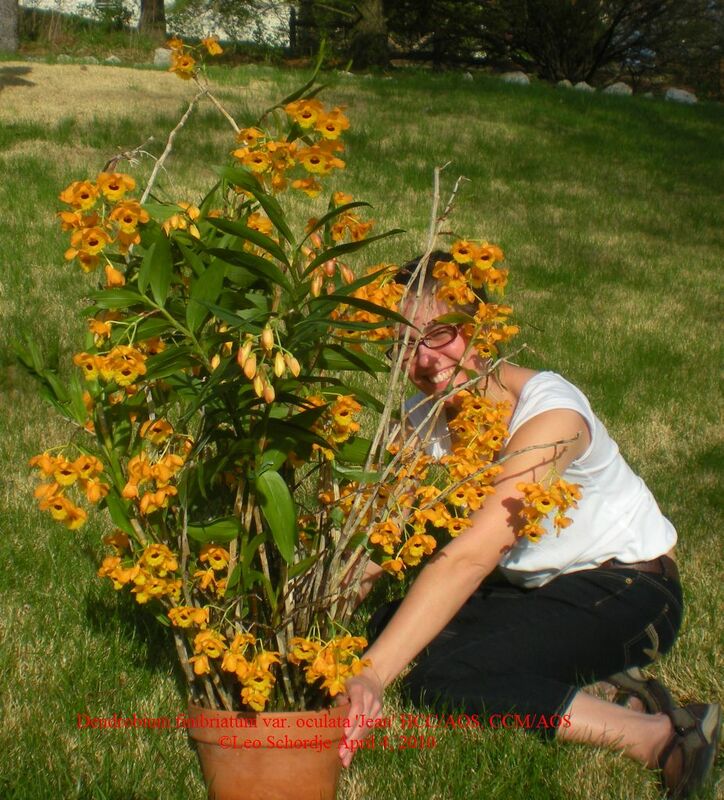 Shipping season will soon resume, mail order plants may be shipped beginning April 1, 2014. This is the link to the page of links to various fertilizer references I referred to in a recent talk. "Lycaste, the Beautiful Sister of Helen of Troy"
this is a culture article for growing Lycaste under lights or on the windowsill. This is the newly updated version of my Phragmipedium culture sheet. Included are updated comments on fertilizer. Newly revised, print out for 'Ever Blooming Orchids' talk. I apologize to my customers, the State of Illinois requires that I collect sales tax on all internet transactions, even sales to out of state customers. Invoices will now have the 7.5% Illinois sales tax added. Three year old good news, still my most recent AOS award, Dendrobium fimbriatum oculatum 'Jean' received an HCC of 78 points, CCM of 83 points. This plant was shown 4/3/2010 at the AOS Judging Center, Missouri Botanic Garden, Saint Louis, Missouri. Check out the Hoya species available on the Hoya Page. USA orders only, no foreign orders please. The cost of paperwork for international orders is too high. About my current email address, about 3 years ago I began using my sbcglobal.net address, my old "dataflo.net" address stopped working as of 4/1/08. If you get no response or a bounce message, please click on the java script that will assemble the sbcglobal address or type LeosOrchids and then follow that by the current ISP sbcglobal.net, remember, it is a .net rather than .com. Forgive the cryptic wording but I don't want the spam bots to be able to harvest my email off this page. The change has hugely cut the amount of spam I get. Having a Web Site means you are never caught up, and will never have free time again. Leo is available for speaking engagements Click Here for details. This is a hobby, not a full time business. Email is most convenient way to initially contact me. I am available for phone calls irregularly on weekday evenings with Tuesday and Thursday evenings being the best, 7pm - 10:30pm, central time. Please talk to my answering machine. I will return your call. Telephone - this is the land line to the house. Please leave a message and a call back number as I seldom am able answer this phone. (847) 309-3821 cell, this is the phone easiest to catch me on if you want to talk.